I like to begin a nutrition conversation with Bodies: 101. The body needs a few basics to survive. First, you need the amino acids. These are the building blocks for everything from muscles and bones to our hormones and “feel good” neurotransmitters. Then, you need the vitamins and minerals (from your fruits and vegetables) to make it all run. It’s that simple. Adding in a little healthy fat adds lubrication and substance for the brain and everything else. The rest, i.e., your carbohydrates from rice, pasta, and starchy vegetables serves as a quick fix of energy for the brain and then it gets stored as fat. Today, we are going to talk about the amino acids. What are they anyway and what do they do? It might sound a little strange and everyone associates amino acids with bodybuilders, but we all need amino acids. As I mentioned before, they are literally the building blocks. How do you get them? You get them by ingesting protein. When you eat protein, your body breaks it down into individual amino acids and then uses those amino acids to build what you need in your body. Those individual amino acids can then do a variety of functions in the body to promote your health. Here are a number of ways that amino acids help to influence your mood, build muscle and organs, reduce your stress and enhances your immunity. Everyone likely thinks of amino acids for building muscle. Well, it absolutely works for that and you don’t need to want to look like a bodybuilder to get the benefits. As we age, muscle mass can decrease. This is important because muscles are important for providing support around our bones and joints, and increasing our metabolism. Even if you do regularly exercise, you may have faster muscle loss by middle age. Branched chain amino acids have been studied and proven to help the body make new muscle, especially when combined with body movement and Vitamin D.
I call the amino acid 5-hydroxytryptophan (5-HTP) nature’s “antidepressant.” It is a precursor, or building block, for serotonin which is a feel good hormone in our brains. It also helps to regulate our stress glands and is great for relaxation and sleep. You can take individual supplements as long as you are not taking additional anti-depressants, such as SSRI’s. If you are, discuss a weaning protocol or natural ways to treat your depression with your holistic practitioner. There are 2 amino acids that are super hitters against stress. The first, L-theanine is what I call nature’s “valium.” This amino acid is what makes green tea so relaxing. It helps to slow the brainwaves to the relaxing alpha level. Even better, you can take it when you need it, you can’t overdose, and it is non-additive. It also works great for ADHD as it helps to provide calm while keeping focus. The second amino acid is called gamma- aminobutyric acid, or GABA. It also functions as a neurotransmitter that promotes a relaxed feeling while also increasing mental focus. A recent study in 2015 study by Dutch researchers found GABA supplements improve decision making and reaction times. Amino Acids are really important in keeping your immune system healthy and functioning properly. One way that your body does this is by detoxing your body. Detox literally means removing any toxins stored. The preferred form of the amino acid cysteine, N-acetylcysteine (NAC) is an essential building block of glutathione, the body’s principal antioxidant. It helps to support detoxification in the liver as well as improves lung functioning. So how can you get all of your amino acids without having to take a bunch of individual supplements? 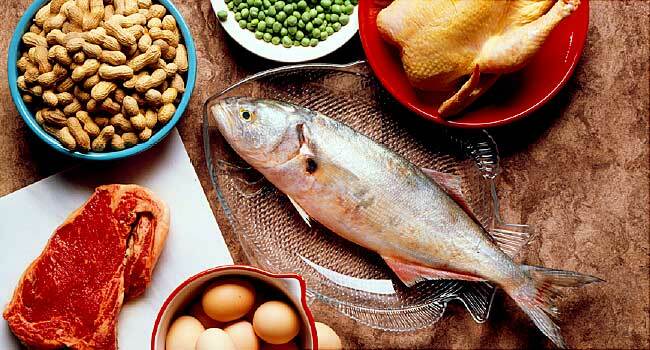 First and foremost, get in enough protein to provide the body with these building blocks. I make sure I have enough protein by starting my day with a protein shake and then having a serving of protein with both lunch and dinner. If you are vegetarian, I would absolutely recommend supplementing at least 1 vegetarian protein shake daily. In my experience, it can be difficult for vegetarians to get enough protein without the added extra carbs. Second, make sure you are getting in enough variety of vegetables and low sugar fruits (like apples, oranges, and berries) to provide the nutrients necessary to “run” your building blocks. Here are my absolute favorite Protein Shake Choices. One is great for easy digestion, muscle building and relieving inflammation, called Pure Paleo and the other is a good option for Vegetarians and Vegans, called PaleoMeal. Drop me a line and leave me your comments. I love to hear how you are making being healthy fun! I hear ya.. you are trying to do all of the right things for your body, you've tried juicing and it doesn't seem to be working for you! You aren't feeling the vitality you expected or you aren't losing the weight you wanted. Perhaps a medical condition isn't healing as fast as you'd like. Don't worry. I sometimes hear this and I wanted to offer you some tools to help you to get the maximum benefits possible from the fruits and vegetables you consume.